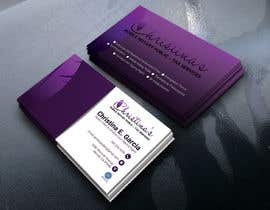 I'd like to add a couple of things to my current business card and need help in designing it. Business card could be double sided. I would like to add to my business card 1)IRS Registered Authorized E-Filer, 2) Immigration Forms, 3)Tax Preparation, 4)Mobile Notary Public 5) Translations/Traducciones . I would also like to add my address 3246 Shannon Avenue, Merced, CA 95340. I want to keep my Purple Feather and my name as in Logo. Dear contest holder, please check my entry #15 hope you like it.